From his youth, the nightborne Tel’arn was fascinated by plant life: the resilience and adaptability of weeds, the ability of simple grass to harness the power of the sun, the way a tree may be divided into two, or two branches grafted into one. 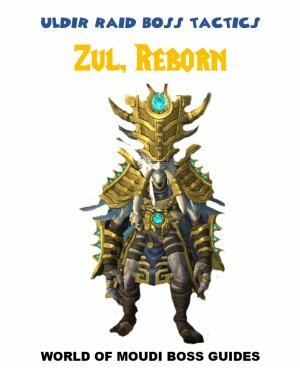 Aided by the energies of the Nightwell, he has transformed himself to the point that he is scarcely recognizable as a nightborne elf. He now considers himself something far, far greater. This fight is divided in 3 phases. 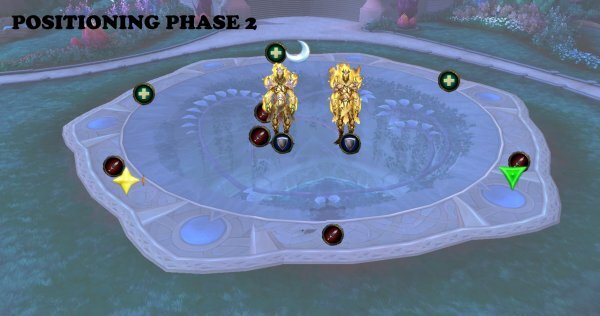 You will first fight 1 boss in phase 1, then 2 bosses in phase 2 and 3 bosses in phase 3. The abilities from start will continue the rest of the fight and while the fight progresses, more abilities will occur. The health pool of the boss and images are shared. You fight 1 boss at start, the main boss (The High Botanist). 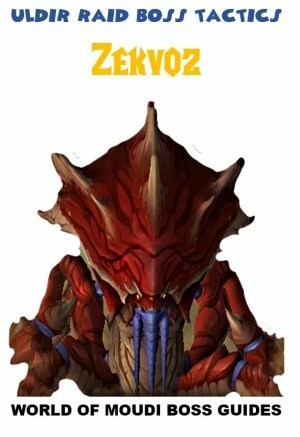 An image will spawn (Solarist Tel´arn). 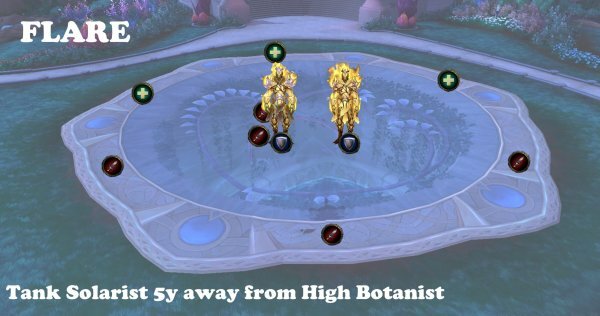 You will now fight the main boss (High Botanist) and an image (Solarist). 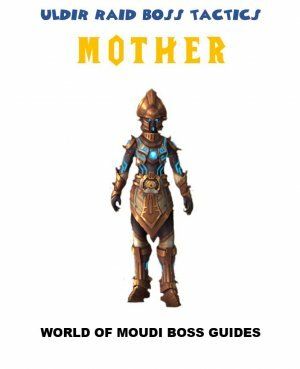 Main boss will have 3 abilities instead of 4. The Solarist image will use Solar Collapse instead of Main boss, and also 2 more abilities (flare and Summon Plasma Spheres). Main boss will change name to Arcanist Tel`arn instead of The High Botanist. 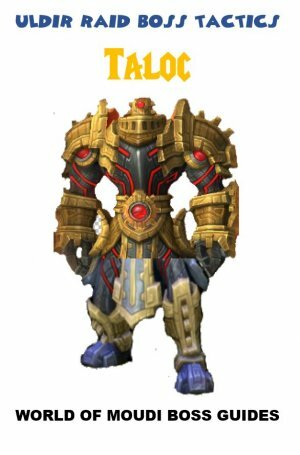 You will now fight main boss (Arcanist Telárn), the Solarist and the Naturalist. Tank boss in the middle of the platform (in the center of the circle). Stand spread around the boss. Spread out around the boss, along the circle on the ground. Tank High Botanist in center. Tank Solarist next to Botanist (5 yards between). Stay at least 5 yards away from Solarist. Spread out around the bosses, along the circle on the ground. 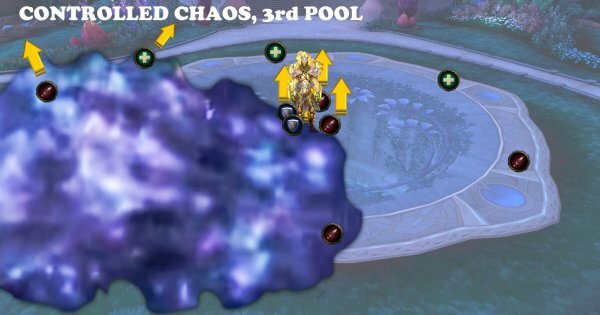 Tank the 3 bosses on top right side of the circle. 1 tank on Solarist and Naturalist. Make sure that Solarist is 5 yards from Arcanist. 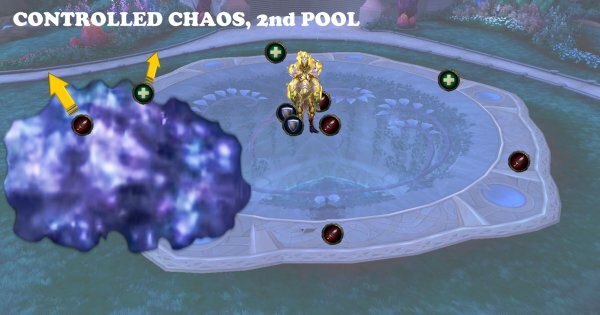 The boss puts a debuff on its primary target (tank) every 1.5 second (approx). Boss will also do 15% of his melee damage on any player with the debuff (most likely off tank). The goal is to tank swap when the debuff is gone on the player that will taunt. This occurs around 8 stacks. 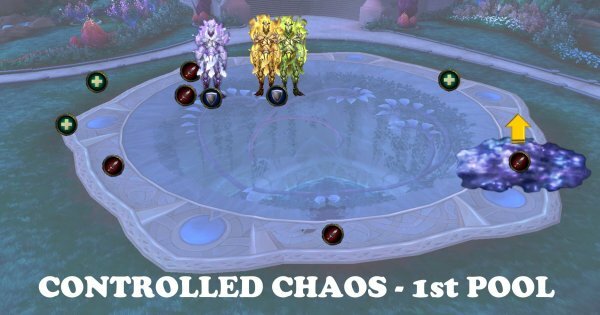 Tanks will take a lot of damage in this fight and needs to plan and have a flow in their defensive cooldowns. Tanks will take a lot of damage in this fight. Therefor, the healers needs to keep an extra eye on tanks when there are raid damage because more damage than the Recursive Strike can be critical for tanks. Boss targets a player and summons 12 pulsating solar energy balls around that player. The solar energies starts from a far distance around the player and moves towards that player very fast. Each pulse it does while moving in to the player, does fire damage to all players within 4 yards och each solar energy ball. Move away fast if the solar energy ball is targeting you or close to you. The boss targets a random player and roots the player in place (debuff called Parasitic Fetter). This does damage every second until dispelled. When dispelled, an add will spawn, called Parasitic Lasher. This add targets the closest player and hunts that player. 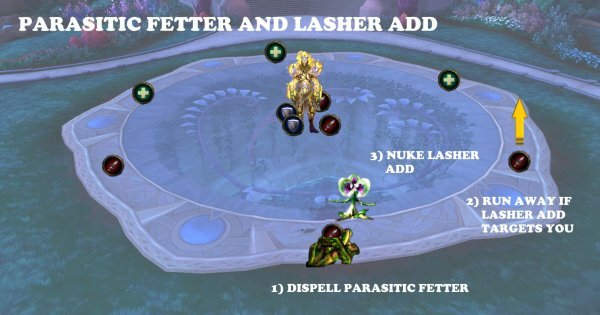 If it reaches the player, it enter the player and afflicts them with Parasitic Fetter debuff. When the debuff is dispelled again, the add comes out again with the same health it had before it entered the player. The Lasher add also grow every 3 seconds and increase movement speed by 25%. 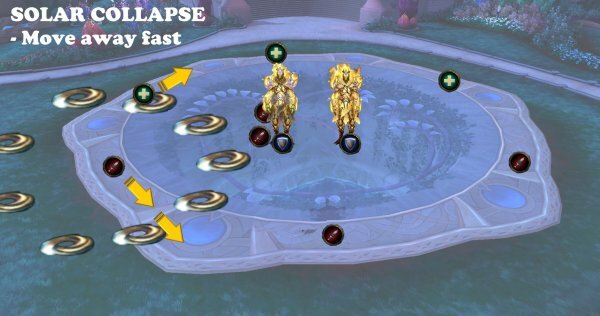 At 5 stacks, it will be immune to slow, stun etc. Person targeted by the add must run away fast, use class spells to move faster. Players need to slow, stun grip etc. the add while nuking it down fast. Add is prio one to nuke. Boss targets a players location. A purple circle (10 yards radius) will spawn on that position and after some seconds it will explode. A second, bigger circle (20 yards radius) will spawn on that position and after some seconds it will explode. A third, even bigger circle (30 yards radius) will spawn on that position and after some seconds it will explode. Each explosion does very high (deadly damage). Make sure that the raid is spread (see positioning, phase 1, above). Run away fast from the first circle and keep running away far since 2 more circles will spawn. After all 3 circles spawned and exploded, run back to your position. 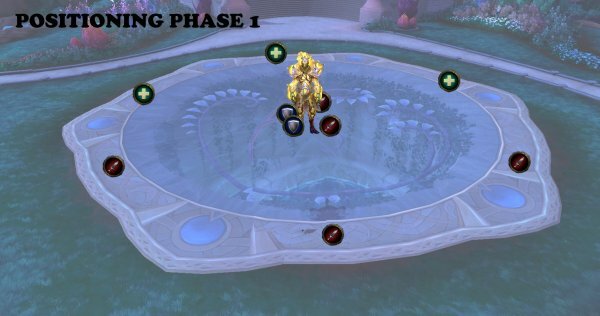 During this ability, you need to raid heal at the same time you need to dodge the circles. Use any class healing ability/talent you have that makes it easier for you to heal while moving. 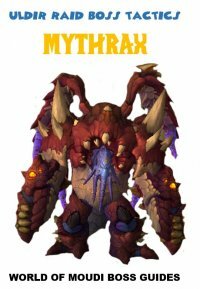 Use cooldowns to heal up the raid when this is over. In this phase, the boss will summon an image of himself, called Solarist Tel`arn. 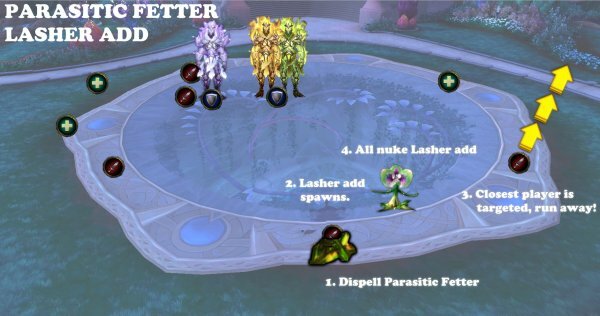 You will fight the boss (High Botanist) and Solarist at the same time. One tank on the Solarist. Same as phase 1 but instead, it’s the Solarist that does this. Solarist blasts the tank with fire damage that also does damage to players within 4 yards. Melee: Stand behind Botanist and at least 5 yards away from Solarist. Solarist summons 3 Plasma Spheres on specific locations. 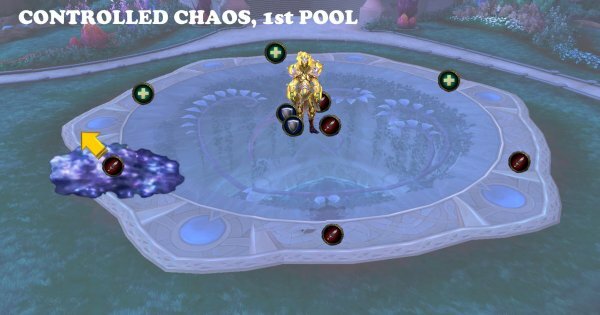 The spheres lose 4% health every 0.5 second. When a Sphere dies it explodes and does high fire damage to all players. It will also put a debuff on players(Plasma Explosion) which increase damage taken from sphere explosion by 100% for 5 seconds. 1st Orb on bottom left side of the circle on the platform. 2nd Orb on bottom right side of the circle on the platform. 3rd Orb on top middle side of the circle on the platform. Tank the bosses on 1st Orb spawning location. 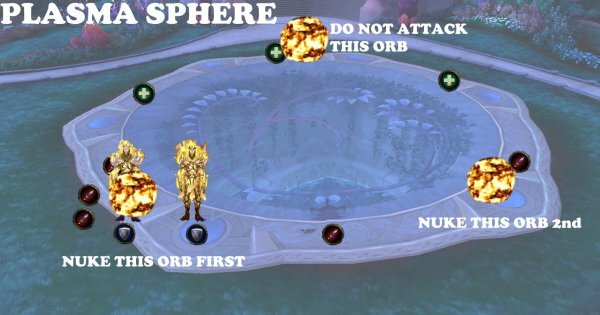 Nuke 2nd Orb fast and make sure it dies 5 seconds after the first Orb so the debuff wears off. Do not dps 3rd Orb at all. Let it explode after the 12.5 seconds have passed. Make sure you are single target dps here and not using less dps just to boost your dps meter with more cleave dmg. 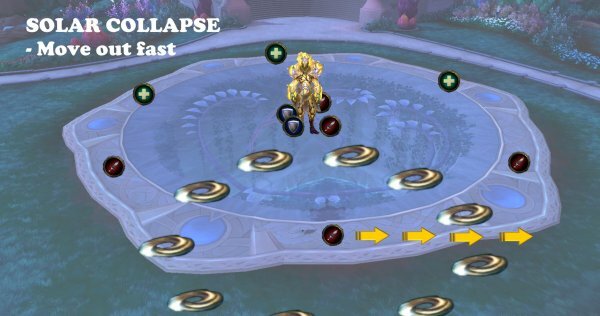 Use Healing cooldowns and make sure the raid is healed up after each explosion. Raid needs to be healed up again every 5 second. The Arcanist boss will put a debuff on several random players. 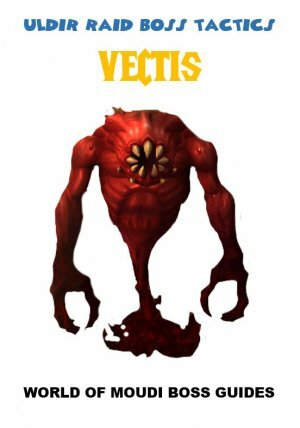 1) If any players with the debuff are 5 yards close to each other, The debuff does Arcane damage to all players within 100 yards. 2) If any player with the debuff is NOT 5 yards close to a non-debuffed player, The debuff does Arcane damage to all players within 100 yards. 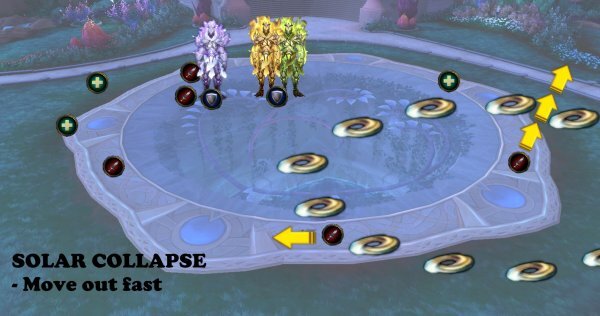 Player with debuff: Stand where you are so you don’t run around and come close to other debuffed players. 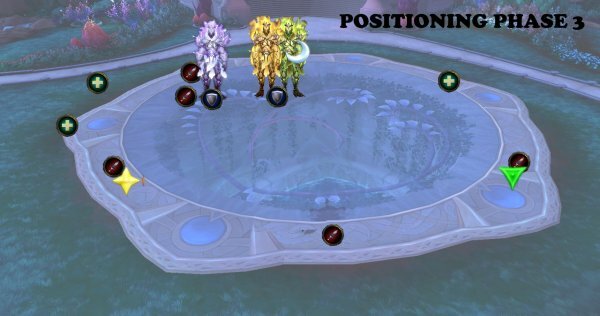 Player with no debuff: Stand on players that have the debuff. Naturalist boss shoots 2 Toxic Spores at a random player location. 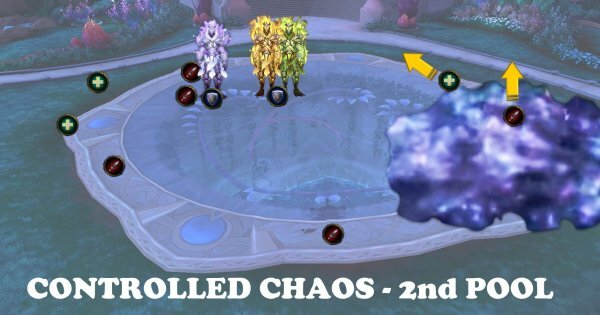 The spore lasts for 2 min. 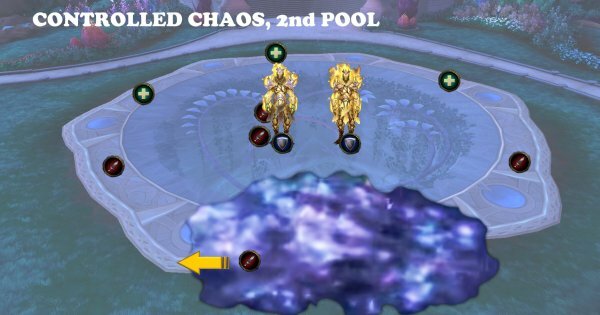 If a player comes into contact with a spore, it will explode and do ticking Nature damage to that player for 12 seconds. 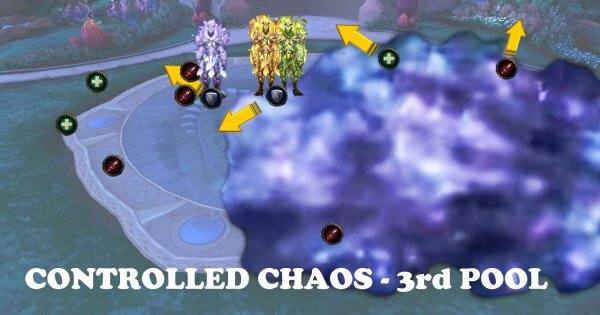 These spores last for 2 minutes, which means, they will be there during almost entire phase 3. The spores need to be soaked. 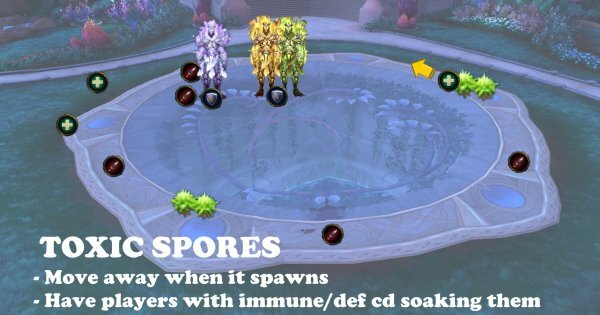 Have certain players with good defensive cooldowns (non-tanks) to soak the spores. 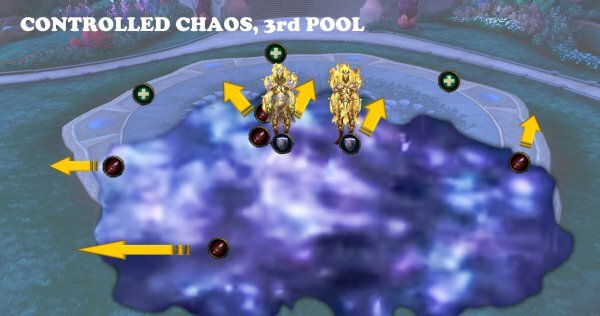 Wait until at least 4 spores have spawned if you will use immune spells like Divine Shield and soak them all at once. Rest of the raid needs to stay away from them. 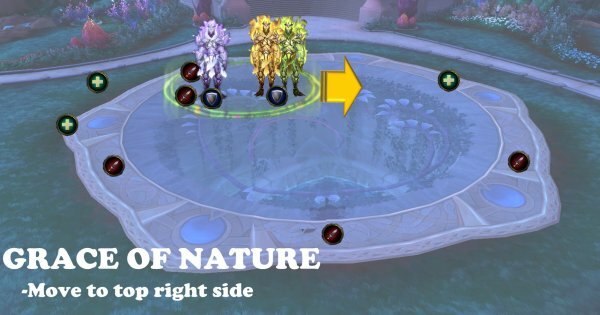 Naturalist summons a pool of energy that heals the bosses if they are inside the pool. 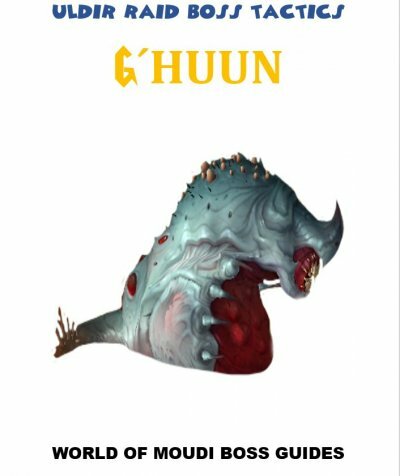 The heal does 3% of maximum health every 3 seconds. Start tanking the bosses on top left side first. 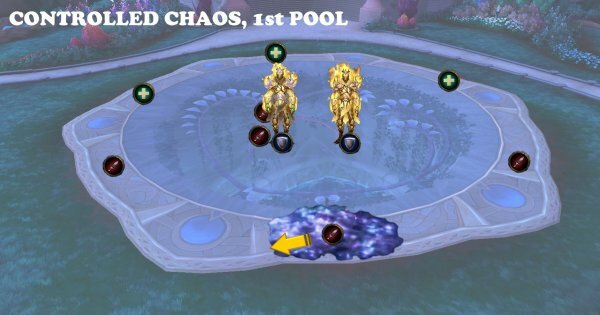 Move to top right side when a healing pools is created. Leave bottom side free stand there only when the orbs (plasma spheres) are summoned. 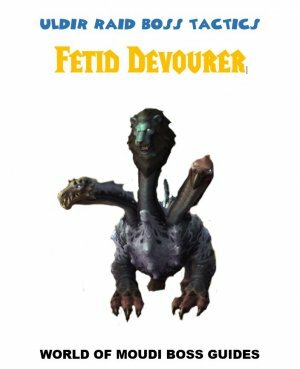 If it reaches the player, it enters the player and afflicts them with Parasitic Fetter debuff. Use it when boss is at 50%, when all 3 bosses are out.